Prineville and Redmond, Oregon Hot Tubs Retailer Publishes Tips on How Hot Tubs can Help Arthritis Sufferers Cope with this Painful Disease. Oregon Hot Tub, a HotSpring Spas dealer selling new and used hot tubs with stores in Portland and surrounding areas like Hood River and Oregon City, Beaverton, Bend, Clackamas and Vancouver, WA is participating in National Arthritis Awareness Month by publishing tips for arthritis pain sufferers and providing free test soaks in new or used hot tubs in any of their 5 showrooms. 1 - Adequate Rest - Sleep is the body’s time to repair, nourish and rejuvenate. It plays a critical role in immune function, metabolism, even learning. In addition to providing the necessary downtime for essential body parts to function properly, it gives overused and stressed joints the chance to rest by taking pressure off joints. And while balancing activity with rest can be difficult, it’s essential for promoting repair and learning how to manage arthritis pain more effectively. 2 - Exercise - The benefits of moderate exercise for arthritis are twofold. First, moderate exercise at least three times per week is an effective way to maintain a healthy body weight- something that is critical for reducing arthritic related joint pain. The extra weight puts too much stress on the joints further agitating already stressed joints. Second, an exercise routine helps keep joints flexible and resistant to pain. It’s true, the more the body moves, the less joints and muscles become fatigued or overstressed. Besides, eating healthy and staying active is the best way to protect against diabetes, high blood pressure and numerous other issues. 3 - Hot Tub Hydrotherapy - Sitting in a hot tub filled with warm, bubbly water for even a few minutes can significantly reduce the pain and discomfort of arthritis. Basically, the pain of is a result of pressure placed on the joints. They’re overworked, stressed and in desperate need of a break. The heated water from a hot tub relaxes and targets the muscles surrounding the joints, increasing circulation. The result? Improved flexibility, increased mobility and decreased pain. Plus, as an added benefit, soaking in a hot tub before going to bed prepares the body for a more restful, deeper sleep. And sleep is the perfect time to give the body the chance to repair damaged cells and provide much needed nourishment. 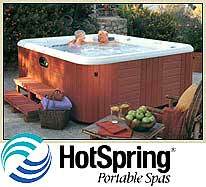 “To encourage people to check the benefits of soaking in a hot tub to help relieve the pain of arthritis, for themselves, Oregon Hot Tub is providing free test soaks at all their showrooms. We do recommend however that people wanting to schedule their free 30-minute soak call us ahead of time to reserve their spot,” commented Dave Doornink, marketing manager.